The illustration on our cover is by Ruth Brown and is taken from her latest book Ladybird, Ladybird published by Andersen Press (0 86264 200 0, £5.95). We are grateful to Andersen Press for help in using this. Another of Rodney Peppé's amazing creations, this time a clockwork bus, is the focus for a story. 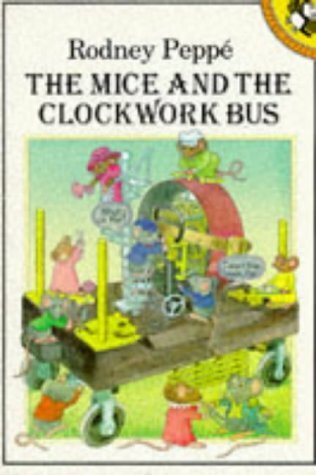 Here the ever resourceful mouse family collect various junk items from the villainous D Rat's rubbish pile and build a bus that puts their enemy's bus service out of business. The formula is as before: an engaging story, absorbing pictures of busy mice, extended with bubble talk, and an idea that could well get readers working on their own CDT projects.